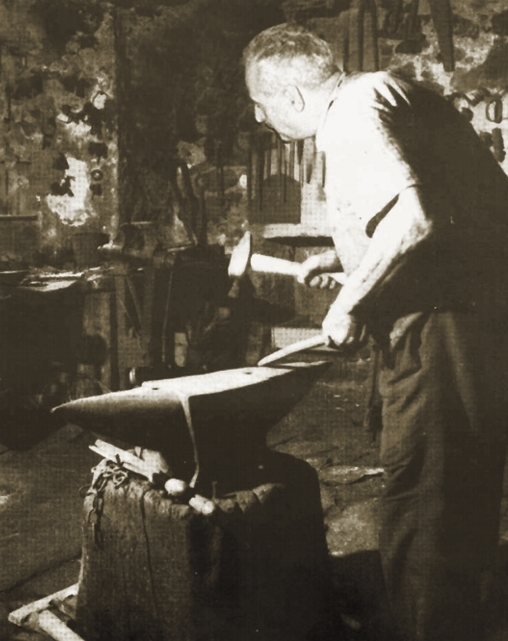 Adriano e Otello Campion brothers, go on with the traditions of “ iron workers” heritage of their father (steel structures worker and blacksmith) and formerly form their grandfather Fortunato Campion (blacksmith). 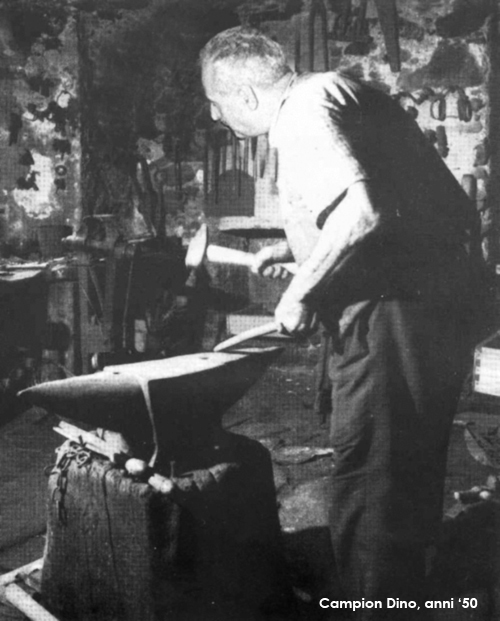 The mayor of Fratta Polesine, asks to it friend the blacksmith Dino, to manufacture columns to light the train station street of the village, and thus the company CAMPION DINO E FIGLI produces the first columns. We guard one of these columns, no longer in use since 2004, exposed in our factory. Considering the good results obtained with the columns, they decided to invest in this activity. So OFFICINE F.LLI CAMPION SRL was born, having the two brothers Adriano e Otello partner at 50%, with head office , in via De Gasperi industrial area in Fratta Polesine, the present head office. A plot of land was bought and a barn with attached house was build. The staff is composed of 10 workers. The main activity refers to the production of stepped steel lighting columns obtained from pipes sections joined together. Important investment are done of the construction of conical columns from welded steel plate. A press for bending the steel plate is bought (12m length in one section, it was the only one in italy), and a cutting machine purpose made studied to cut the trapezium. Welding, straightening and finishing machines are completely designed and manufactures inside the factory. With the same machinery also the first columns with polygonal cross sections are made. The turnover is approx 1 500 000 € , with an average staff of 50 workers. Adriano and Otello sons and daughters, in chronological order of service enter into the company : Antonella Katia, Emanuela, Erika, Mirko, Annalisa, Eleonora. The company starts an upgrading process to the gained dimensions. They moved from a typical handicraft approach to and industrial management system, even with the help of international criterion according to quality system standard ISO9001. An internal technical department is established dedicated to the design of the manufactured structures. New products are developed such as high mast with mobile crown. The turnover is approx. 5 000 000€, with an average staff of 70 workers . The company obtains an important award for its organisational set up being finalist to the prize “Quality in Italy”. Investments in technologies to improve products and machineries go on. The company starts an approach to the market for decorative columns, publishing a purpose made catalogue named “iPaliarredo”. A structure to manufacture conical columns with circular section with taper ratio 14 mm/m is realized obtaining thus, a particularly slender profile suitable to be used doer decorative columns and with better structural features but at the same time lighter and with reduced employ of row material. The turnover now reaches 18 000 000 €, 75% in Italy e 25% export, with a staff of 100 workers. Between 2011 and 2012 an operation to prepare the ongoing generational change has been finished. “Officine F.lli Campion s.r.l.” becomes the family holding and is is renamed as in “HFC spa “Campion family Holding”, conferring the company branch referred to the activity of lighting columns to the new company “Pali Campion s.r.l.” owned 100% by “HFC spa”. The company obtained the certification as authorized processing center according to D.M. 14-01-2008 (unified law for constructions). The company obtained the welding quality system according to UNI EN ISO 3834. An important investment for the enlargement of the available space is done, with the purchasing of a plot of land nearby to the factory. The company obtained the CE certification of ironworks structures according to EN1090. Despite of the Italian and international crisis of these years, the turnover remains stable but with a different percentage between domestic and export Market, reducing the Italian market (65%) and increasing the export market (35%). Pali Campion becomes the first manufacturer nationwide,the turnover reaches a new peak which is around 20.000.000 euro. The company continues to invest in order to improve the facilities. The fifth longitudinal welding line is implemented with a new machine which can be employed for tapered columns either with polygonal and circular cross section. The historic bending machine established in the 80's underwent a complete revamping obtaining considerable improvements in the quality of the produced conical columns. The aprons are completely rearranged rationalising the crossing points and the stock point of the half finsihed and finsihed products. A deep rearranging and improvement process of the working places starts.